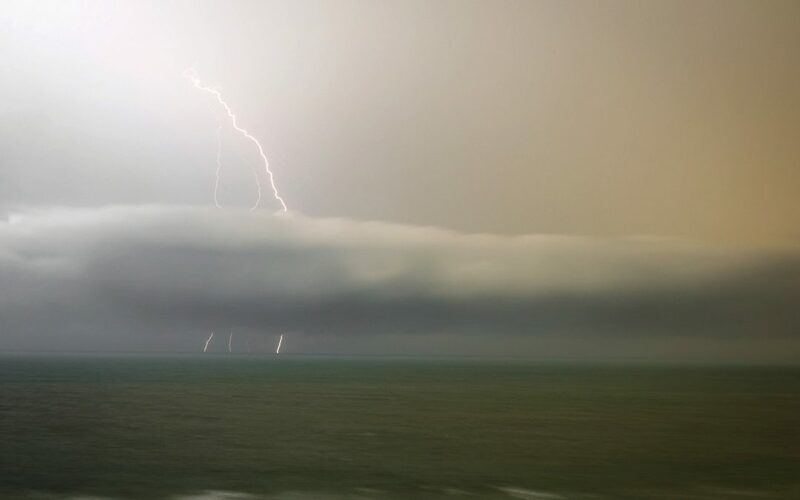 It was with great anticipation that I waited for my first lightning storm to appear over the Gulf of Mexico. I knew that the unobstructed view from my perch would offer the perfect vista. But when would it come? Some say I had two months of amazing weather, which I had to agree with. But why couldn’t I have had just one overnight storm? With a days left to go on my stay in southern Florida, storm clouds gathered as evening fell. Yeah! Now it was a waiting game. The storm I’d hoped for turned out to be somewhat of a pop-gun display. I made three pictures that included lightning bolts and that was it. They weren’t too close, too bright, or too dynamic. But it was fun watching nature do her thing!